The holidays would not be complete without Eartha Kitt doing her classic Santa Baby. Ms. Kitt was one of the most successful entertainers of her generation. Along with Lena Horne, Billie Holiday, and Josephine Baker, she broke down barriers that had kept African American performers out of the mainstream for years. Eartha was fearless. With Santa Baby she really pushed the envelope for the 1950’s but she always conducted herself with grace and class, and audiences the world over loved her. She was adored, worshipped, emulated, and honored throughout her career. Not many entertainers climbed to the heights she reached. Santa Baby has indeed become a classic. Not even Madonna’s cover of it came close to the originality of Eartha’s masterpiece. 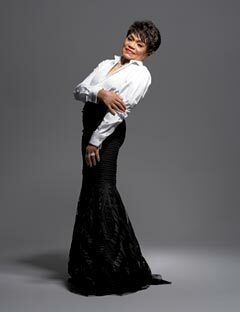 She may be gone, but Eartha Kitt will never be forgotten. She truly was one of a kind.